This is the third in a series of articles on e-commerce search that draw on findings from our recent search usability report and benchmark. When testing the search experience of 19 large e-commerce sites, 57% of the test subjects were at some point during our study in doubt of why or how the search results were related to their search query. The subjects simply could not figure out why one or more of the search results had been deemed relevant by the search engine, because none of the data listed for those products appeared even remotely related to their search. It’s therefore important to include contextual search snippets with excerpts of the matched data so that users can see how each result is related to their search query. Contextual search snippets have been used by traditional web search engines for a good decade, but amongst e-commerce sites 96% do not include such snippets (as identified in the e-commerce search benchmark). “I don’t understand why they have this”, a subject said after searching for “sleeve mac 15” at Zappos. 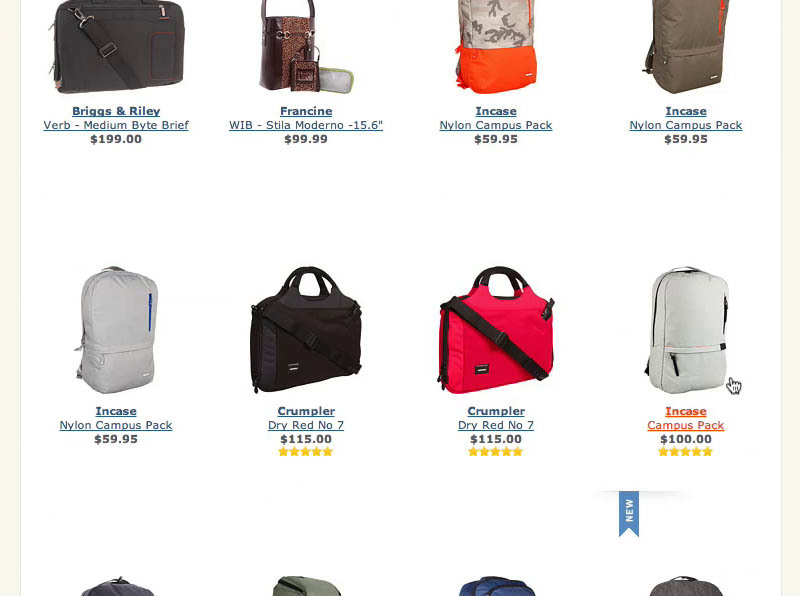 Without search snippets to show her why the backpacks were included as results, she could only guess or visit multiple irrelevant product pages to read all the descriptions (some backpacks had laptop sleeve compartments). Either option makes this already-poor search experience even more frustrating to the user. In this article we’ll go over our research findings on why search snippets are so important to the user’s search experience, and see how they can be implemented in an e-commerce context (which differs from their implementation in a more generic “web search” context). Search is open-ended, so the list of search results can contain a mix of any product the site carries, and may include scarcely-related products. The relationship between the user’s search query and the search results must therefore be established for the user, to answer questions such as: Why was this search result included? How does it relate to my search query? How is it relevant to me? How does it differ from the next result? 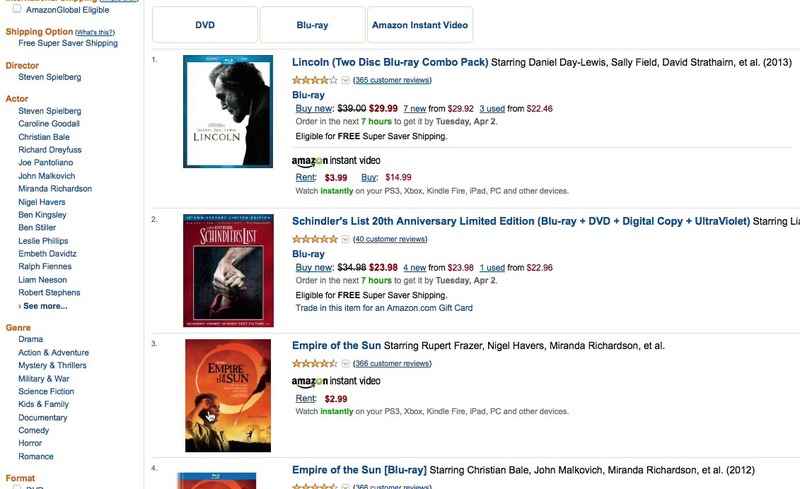 “Did he direct this?” a subject pondered after searching for “steven spielberg” at Amazon. Unable to see how each item related to his query, the subject opened a handful of movies to check that they were in fact directed by Spielberg – only to go back immediately, as he was never interested in buying any of them. 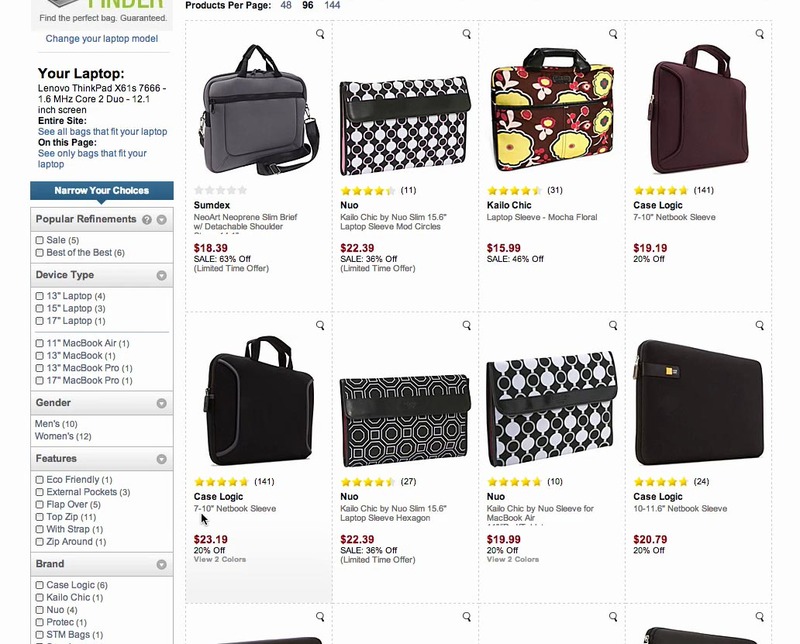 Displaying the same product attributes for each search result – regardless of the information matching the submitted search query – was observed to lead to needless “pogo-sticking,” where users go back and forth from the search results list and product page, only scanning the product page with the purpose of figuring out why and how the product is related to their query. This obviously makes it difficult for users to get a proper overview of the relevant search results, and users quickly grow tired of this tedious back-and-forth information process. For “closed” navigation types, such as category navigation, it makes good sense to display the same type of product attributes for every single product, as the very categorization ensures that the products are somewhat similar, and the display can therefore be curated as its context is predefined. This is not the case for open-ended searches where the context is user-defined (by the search query they enter). For Compatibility search queries – such as the subject seen here, who searched for “Charger lenovo ideapad” at Best Buy – the test subjects often found it unclear how each item was related to their search query and often overlooked the compatible items in the list. Compatibility aspects are absolutely vital to include in the list item for this particular type of search query, as incompatible products are irrelevant for the user to explore (it’s a dead-end). All these wasted clicks and “pogo-sticking” can lead users to lose confidence in the site – or rather in the site’s search engine – as seemingly irrelevant items are included among the results. This was observed to lower the probability of the user making a new search, and can therefore be a great source of site abandonments. However, our usability testing found that the repercussions can go even further than that, as this loss of faith in the site’s search engine in some cases lead to permanent brand damage, with the user perceiving the site as poorly built – if not in general, then at least in terms of search. Search engines have used contextual snippets for decades. This provides the user with insight as to why each result is being shown and how it is related to their query. As a bonus, it also makes it dramatically easier to choose between the results. Traditional web search engines such as Google and Yahoo figured all this out more than a decade ago – and have implemented contextual search snippets as the dominant part of their results’ list item information. 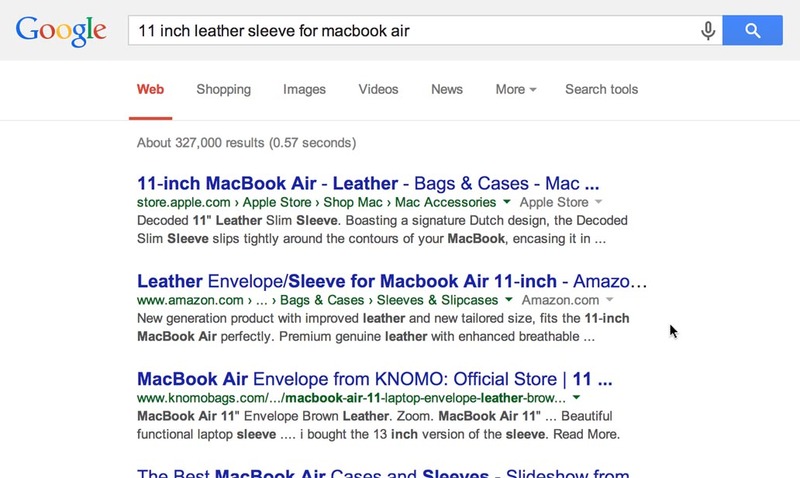 Yet, search snippets are rarely found in e-commerce search result designs. 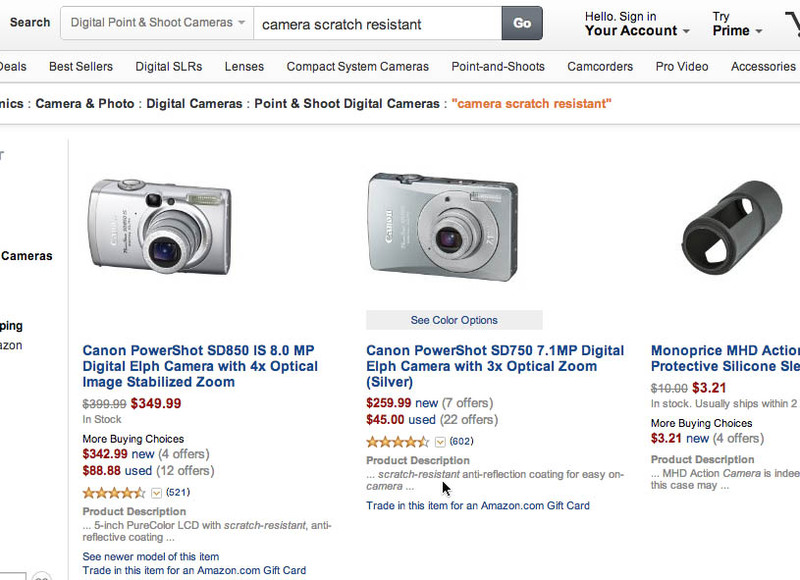 In fact, only two of the 50 top grossing US e-commerce sites have search snippets on their results page. Within e-commerce Amazon have it for most searches (but not e.g. in the movie scope as seen in the prior examples) and Walmart for all searches. Walmart’s inclusion of contextual search snippets helps establish the necessary connection between the user’s search query and the returned search results. 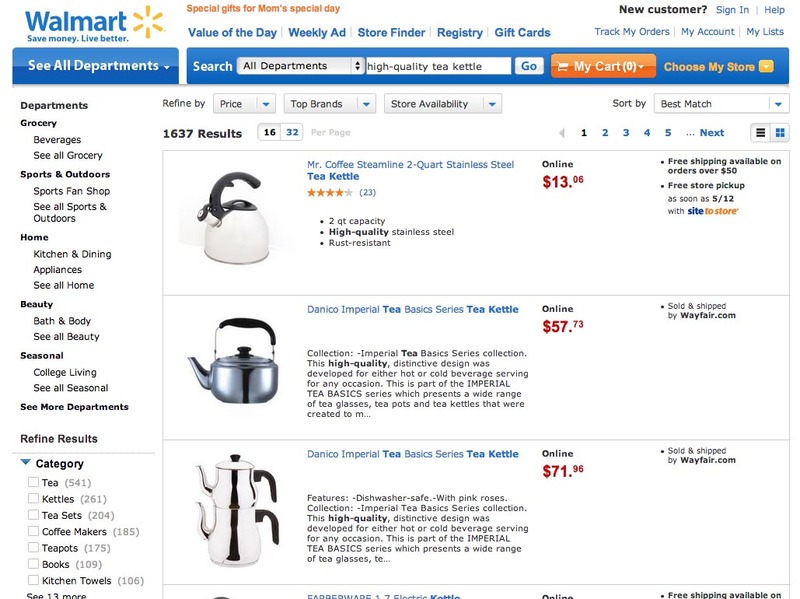 For this particular search on “high quality kettle” the contextual search snippets allow the user to infer that these kettles are being displayed because their description includes the words “high quality” (and not because Walmart has categorized them as especially good items). Contextual search snippets are based on what the user searched for and display the text that matched the user’s query on the page of the search result (i.e., the content that triggered the search engine to deem the result relevant). Search snippets thus provide users with insights on why and how each given item is relevant to their search query and can save them from spending time on irrelevant items. 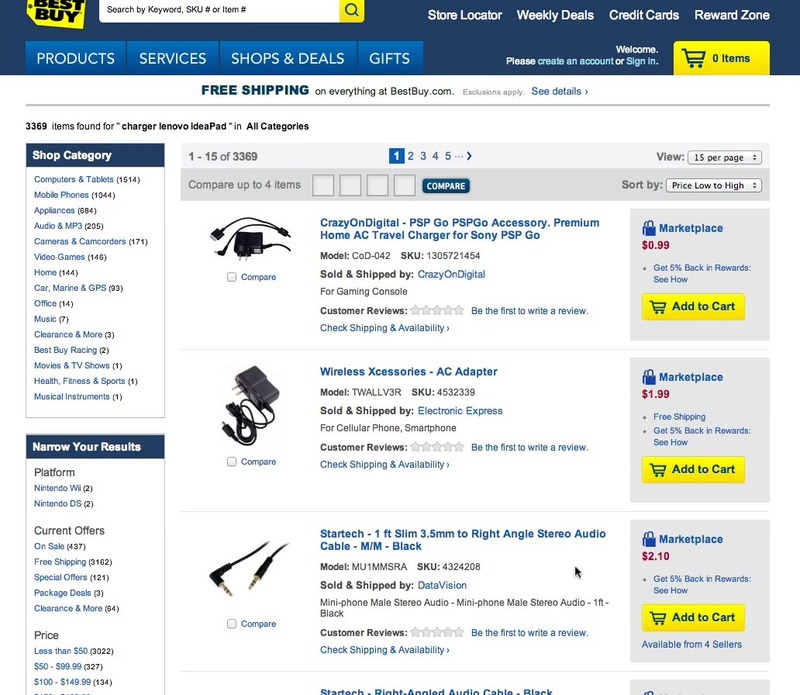 This is particularly important in the case of low-quality results – while the user will lose some faith in the site’s search engine due to the irrelevant search result(s), this is at least partially redeemed by showing the user why it was included (i.e., users can appreciate why the result is being displayed even if it isn’t relevant to their particular shopping session). Lastly, contextual search snippets can also help speed up the process of choosing between the search results, since the contextual snippets tend to include the information and context that the user is most concerned about. Since users naturally include the product attributes that are the most important to them in their search queries, displaying that information and its context for each search results makes it a lot easier for the user to compare the products across the attributes they care about. Search snippets within an e-commerce context differs from search snippets in traditional web search, as the type of results are different (product pages vs. any type of webpage). Compatibility aspect (often the case for #7: Relational and #8: Compatibility queries). Since this data is often structured and semantically categorized, you have more options when designing contextual search snippets on an e-commerce site – the dynamic content doesn’t just have to be a long text string with highlighted keywords (as is typically seen for web searches). In an e-commerce context, the results may include some dynamically selected product specifications that match the user’s query and display those alongside the pre-defined product attributes. 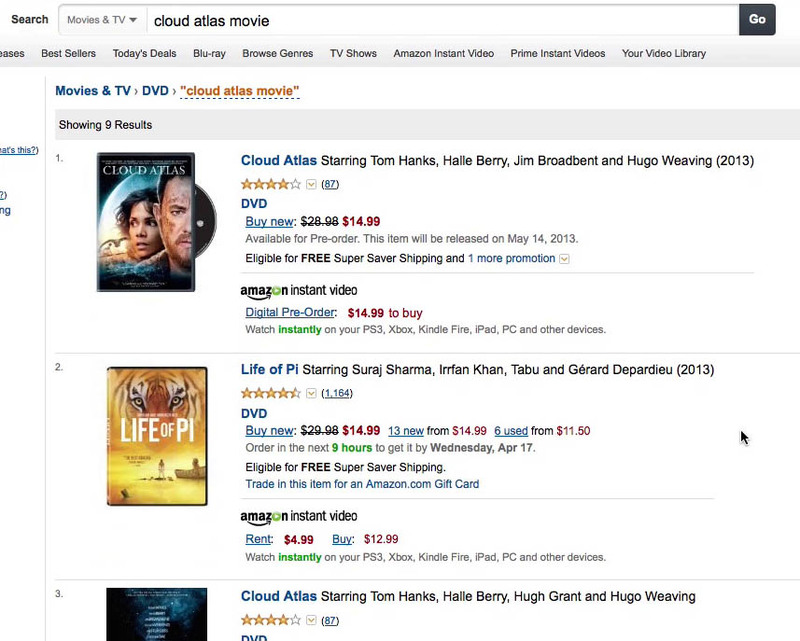 For select product types Amazon include dynamic search snippets to help users understand why and how the results are related to their query. The structured results data give e-commerce sites more opportunities, when it comes to the formatting of the search snippet. E-commerce sites can for instance move beyond just including a simple text string with the 30 characters on either side of the keyword’s appearance in the product data and instead display the matching content in a structured list of bullets or spec sheet or similar customized data layout. When relying entirely on pre-defined search result information, users will often have to open the product page of a search result just to determine how it is relevant to their query. During testing this was observed to not only lead to extensive pogo-sticking but also site abandonments as the subjects lost confidence in the site’s search engine as it repeatedly returned seemingly irrelevant results. This was especially the case for Feature, Symptom and Compatibility search queries. E-commerce sites should therefore include contextual search snippets for their search results to help their users understand why and how each result relates to their search query. This goes beyond simply highlighting keywords but requires the information included for each search result to dynamically alter based on the search query submitted by the user. This article presents the research findings from just 1 of the 667 UX guidelines in Baymard Premium – get full access to learn how to create a “State of the Art” on-site e-commerce search experience. Authored by Christian Holst. Published on July 15, 2014. Great article and an interesting problem to focus on. Does Baymard give names of companies that provide products or services such as those that would add the search results snippets? Is that part of the premium service? Hi Paul, no we do not recommend specific platforms or vendors. It’s too inaccurate to come with general recommendations on what platforms are great UX-wise, simply because much of the end-user’s experience is down to how the merchant site have chosen to implement the platform/search engine/..
That said, if you’ve purchased a decided e-commerce search engine license, I’d check with their feature set, and if not there, then request this feature. Again, in web-search engines the “contextual search snippet” feature is around a decade old.